Did you know that not getting enough sleep can greatly affect your sperm count? Studies have shown that sleeping in long and short durations are one of the major factors that affect male fertility. A recent study by Medical Science Monitor has investigated the effects of sleep duration on 981 men aged 18-50 years. For 3 months they were monitored and analyzed and it was discovered that going to bed later than expected can actually reduce sperm count, motility, and survival. Not only that, Journal of Sleep Research also revealed that the period of sleep may also affect the integrity of sperm DNA. The study has shown that men who had over 9 hours sleep a day had 41% of sperm with abnormal chromatin while men who had 6.5 hours or less sleep a day had 30% proportion of sperm with abnormal chromatin. You see, sleep problems can cause a huge problem to your fertility and now is the time to finally put a stop to it. Do something about your sleep health and increase your fertility by doing the first step; finding out what’s the cause of your sleep problem. 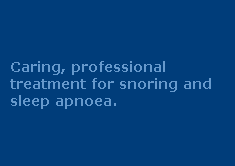 Sleep Disordered Breathing - If you’re waking up every night, you probably have sleep apnea. Use our questionnaire to help you identify if this is the case. Visit your local GP to find out the reason and solution for your difficulty in sleeping. You can also check out our tips to help improve your sleep or visit your doctor for advice.